Who Can Hire a Private Detective in NYC? When many people think of private investigators, they immediately think of detectives hiding out in bushes staking out murder suspects. While private detectives can play a key role in resolving homicide cases, they also perform a wide range of other duties. Private investigators also locate missing persons, provide domestic and corporate surveillance, and conduct background checks. Our private detective agency in NYC specializes in all types of investigations, including hedge fund investigations, child abuse cases, and matrimonial investigations. For lawyers, gathering evidence to support their case that will stand up in court is crucial. Attorneys can hire a private detective to help them collect evidence that will help them win a case. An investigator can confidentially conduct surveillance of any suspects, collect and review physical and electronic evidence, and locate people and assets. PI’s are extremely skilled at analyzing evidence and pinpointing important details that someone else may have overlooked. They can connect the dots and collect the evidence lawyers need to win a case. Businesses also benefit from hiring private detectives. Investigators can conduct background checks of prospective employees and business partners. They can find out any information the person may be hiding, such as a criminal background or poor financial history. A private investigator can also help companies that are experiencing a legal dispute. The PI can obtain evidence to defend and support the company’s claim. An insurance company can hire a PI to investigate a customer’s claim. The customer may be faking a car accident or injury to make it appear more severe than it actually is, in order to get more money from the insurance company. A private investigator can discretely conduct surveillance and gather evidence to determine if the customer is lying about a claim. 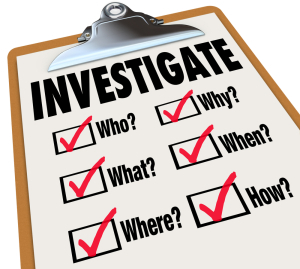 Private individuals can also use a private investigator for a variety of reasons. The PI can help locate a missing relative, friend, or neighbor. They can investigate if a babysitter or ex-spouse is abusing their child and also collect evidence to determine if a spouse is cheating. They even have the ability to run a background check on a new nanny or romantic partner.